In today’s ever developing world of technology, it is a good idea for every business marketer or promoter to use the best marketing strategies. The use of QR codes is one of the many ways that can be used to market any business. QR codes are especially ideal for redirecting users to websites or web pages. QR codes or quick response codes are marketing tools that are used to carry any type of information or data. You can store URL links, text data and contact details among other types of information in QR codes. For you to be able to use the QR code, you need to be able to create one. 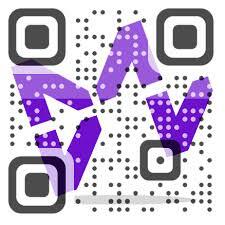 QR codes can be created using online QR code creators/generators. These are available online for free or at a small fee. The free generators are as effective and efficient as the paid versions. One of the ways QR codes are used is redirecting URL links to websites. This is done in order to drive traffic to web pages. This is a good way of creating a following on social media sites. You can do this by placing the URL link to your social media page. You can also use URL links in QR codes to drive traffic to your website. This can be done by prompting the people scanning the QR code to scan the code to go your website where they can find more information about a product or service you are offering. URL links can also be used to redirect users to as landing page where they can sign up for newsletters, special discounts, updates and even customized services. QR codes can be used for marketing brands and services online or in the physical world. When it comes to using QR codes online, you can place a code on your website which redirects your clients to other websites that are related to your business. In the physical world, QR codes can be used on posters, caps, boxes, billboards business cards and even on price tags. These types of codes can contain the URL address that redirects your clients to your website. This allows your clients to quickly and directly connect to a wealth of info on your goods and services without having to type in the address in the address bar. Using QR codes for URL addresses is a good way of ensuring that your clients are not redirected to malicious websites. Find out more about a QR code website.